As far back as I can remember, there have been rumors of a Jurassic Park 4. The franchise’s third installment dates back to 2001, when internet journalism was still in its relative infancy, and sites like AintItCoolNews and CHUD would run what seemed like annual “JURASSIC PARK 4 IS HAPPENING, FOR REALS THIS TIME, GUYS!” stories with increasing desperation. The 2011 edition of this rumor comes straight form the San Diego Comic Con where director Steven Spielberg himself claimed the film would happen. Deadline reports that during a panel for The Adventures of Tin Tin Spielberg answered a fan’s question about the long rumored sequel with: “Hopefully we will make Jurassic Park 4 in the next two to three years.” He went on to claim a writer has been hired and is working on the latest script, but wouldn’t say what the story would be about or even if the dinos stay on the island or come to the mainland. Further reports clarify that screenwriter Mark Protosevich is the man with the gig. Protosevich has worked on Thor, I Am Legend, and Poseidon, and while he isn’t officially signed on the cat’s out of the bag and if this is really happening all the details will have to be clarified soon. If Jurassic Park 4 is going to hit screens within the next two years, we can expect a full press release from Universal is expected any day now. We’ll keep you updated if/when that happens. 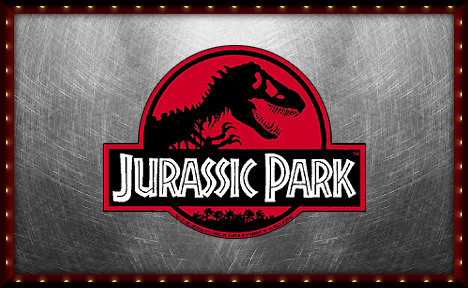 Comments for “Jurassic Park 4” Inches Closer Towards Possibly Happening are now closed.